When Apple held WWDC in June 2013, it made little public mention of its new iBeacon feature in iOS 7, apart from showing the name prominently on a Keynote slide depicting a variety of other new features included in the release. Developers and technology enthusiasts have been on their toes ever since about this . iBeacon technology, and ‘beacon’ as the hardware is referred to, have been and still are the hottest topics of discussion. These two terms are often confused with each other and used interchangeably. You could refer to our Beacon FAQs blog to understand these terms better. iBeacon technology, that makes use of Bluetooth Low Energy (BLE), a feature that has been common in most phones manufactured since 2007, can be used to deliver path-breaking customer experiences and generate more revenue in retail stores, museums, hotels, malls, theme parks, airports etc. The opportunities offered by this technology are limitless and innovative use cases are being built around it every other day. With so much of excitement and enthusiasm around the technology, how could the hardware be left behind? Beacon devices have come a long way since they first came in public purview. In this post, we discuss how beacon hardware has evolved to accommodate the changing beacon implementation scenarios. Battery powered: The most conventional beacons use a coin-sized, or AA/AAA batteries. The battery is generally non-rechargeable and needs to be replaced. Average battery life ranges from 1 year to 2 years. Of course, this can vary based on the surroundings. Extreme temperatures can reduce battery life and rain/other absorbing mediums around can reduce the beacon’s signal strength. Examples : Estimote, BlueCat. USB powered: Though the batteries used in beacons are easily available, keeping a track of which beacon (generally from a fleet of beacons) has run out of battery, when, then replacing the battery can be quite a daunting task. An easy alternative is USB-powered beacons. Just plug them in and forget about them! Examples: AIRCable USB Dongle, Rad etc. Ambient Electromagnetic wave powered: If you think that the beacon space is done with innovating beacon devices, think again! 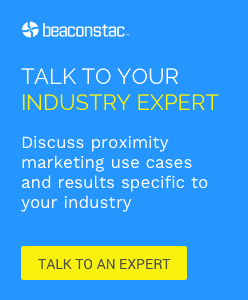 We are all aware of the key issue with beacons – their battery needs to be checked and replaced periodically. Though there are several ways to work around this, like having a beacon management platform that detects this for you and alerts you, having a battery-less beacon would make your life much easier. These battery-less beacons termed as ‘Air Beacons’ work by extracting power from a single source of low-current ambient electromagnetic waves. These beacons are extremely portable and convenient to use because of their size. Example: Airbeacon. What are Ambient Electromagnetic wave powered beacons? If you think that the beacon space is done with innovating beacon devices, think again! All-weather beacons: When beacons were first being deployed, all use-cases were related to indoor locations. With continuous innovation in this space, outdoor locations looked like the next obvious area for beacon deployment. Outdoor locations come with their own set of problems such as rain, ice, frost, extremes of temperatures and so on. Water as a medium is highly absorbing, so are architecturally complicated spaces like hotels and museums. Extremes of temperatures too, reduce battery life significantly. Outdoor beacons thus need to be really sturdy. There are quite a few ‘all-weather’ beacons available now. ‘Sticker’ beacons: Estimote, the most popular beacon hardware in the market, recently unveiled its Estimote Stickers product, slimming down a Beacon transmitter to something as thin as a sticker (3mm thick!). Using these you can turn any object into a smart thing connected to the Internet. These lighter, portable beacons will open up the possibilities of how beacons can be used with everyday objects making them smarter and responsive.